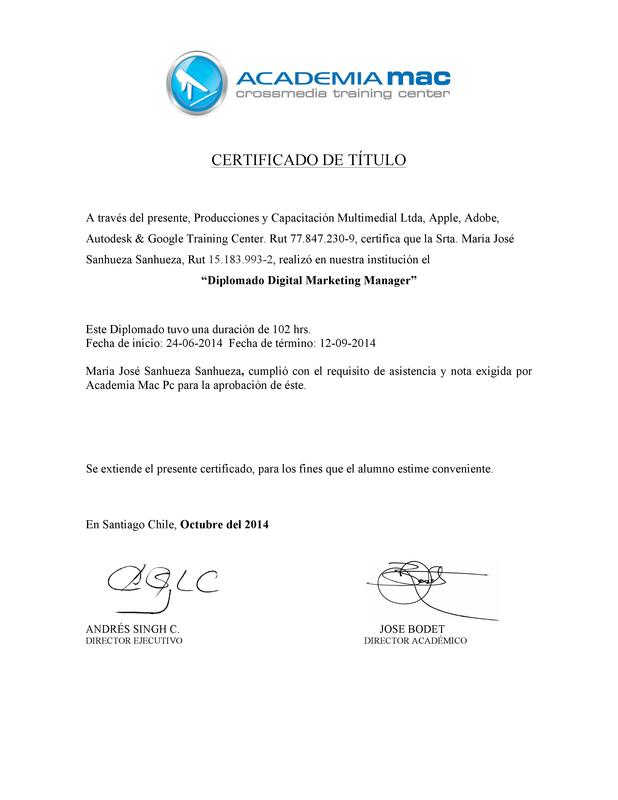 Diplomado Digital Marketing Manager. [Google Adwords, Google Analytics, Display, M?tricas, Community Manager y SEO. Academia MacPc, 2014 /102 horas].